Home / Credit Repair Blog / What is the best way to manage your credit card spending? 00:00 All right guys, awesome credit question. 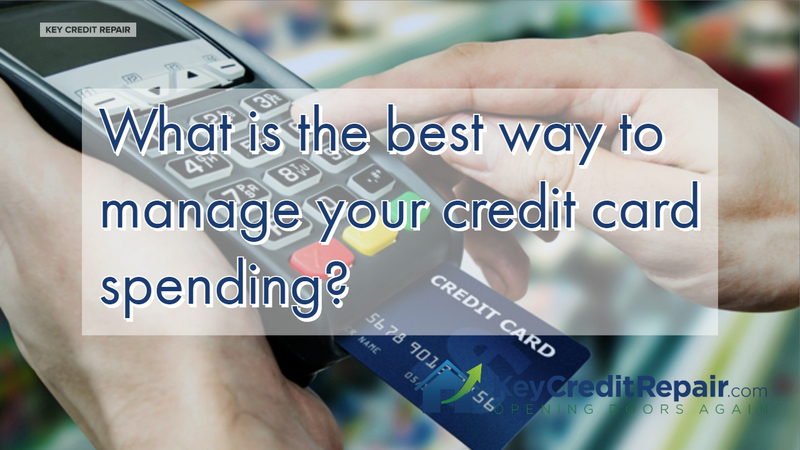 What is the best way to manage your credit card spending? You want to know the best way? Don’t use them. It sounds insane. Guys, you just don’t use them. Carry cash. I know it sounds insane. You want to spend all the money in your pocket, rock and roll. 00:20 I’m not a believer in budgeting, okay? When you get paid, put some money aside. Everything else, if you want to burn through it, burn through it. Guess what? If you’ve simply burned through the money in your pocket and haven’t accumulated debt, you are doing better than the average American that’s got about $14,000 per household or some absurd number that keeps going up on a consistent level. Stay away from it. Don’t use it. You don’t need it. 00:44 If you feel like you can’t avoid the temptation, I would say, I wouldn’t say close out the credit cards. Um, if you’ve seen some of my previous videos, I’m going to teach you a little hack. Take those credit cards, stick ’em in a cup, a red cup. Everyone’s got a red beer cup at their house. Stick ’em in a cup, fill the cup up with water, stick that sucker in the freezer. 01:02 You think I’m insane? Think about the psychology. You find something shiny. You want to buy it, okay, but you can’t because you don’t have the credit card on you. Or maybe you’re just using your cash, so be it, that’s fantastic. Use your cash, but let’s say you don’t have enough. You need your credit card. Well, guess what? You gotta leave the mall, you gotta drive home, you gotta walk into your kitchen. Everyone’s yelling at you, the kids are yelling, it’s, it’s, it’s a busy house. You’ve probably forgotten about your purchase, and if you haven’t, you gotta go into the freezer, take this cup out of the freezer, stick it on your counter, and wait for it to melt. 01:36 How silly do you feel doing this? Well, guess what, in feeling silly about this, you might, number one, change your mind, okay? Also, time will pass. It’s gonna take a day or so for that thing to melt, right? Time will pass, you’ll get busy, and you’ll probably see something else that’s shinier, and you might just forget about it, okay? Compulsion has, uh, an expiration, and it’s usually about six to 12 hours, okay, so if you can get through that compulsion period, um, you can make a more educated decision. If you really want it at that point, again, I don’t recommend buying it, whatever you need on the credit card, but at least you had given yourself a chance to think about it, guys, so see ya later.